Welcome to Margret Hoffmann and Sandra Schiermeyer, liaisons for Berlin, Germany: City of Peace. Margret and her colleagues are part of the Clans of Peace, a group that finds common purpose in healing, community, conscious business, and unity. Berlin is the second most populous urban area in the European Union with a rich legacy of peace that can be emphasized and celebrated for the benefit of future generations. Venerable Grandmother Nah Kin from Mexico wants to share her Mayan wisdom at the Puls des Friedens 2018 in Berlin (for details, see below). Eva and Margret met her during her seminar in February 2017 in Berlin. 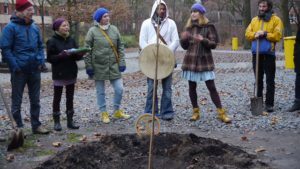 Friedensbaumstiftung/peace tree foundation and Puls des Friedens/pulse of peace plant a magnolia tree togther in December 2016. We chose to plant peace and beauty at this place where a boy from the refugee camp was murdered. Matthias and Magdalena were holding the plant ceremony. In order to heal the wounds of our warlike past, we create by pure intention the realities in which we want to live. This is our spiritual intention. We all come from a common source whose purpose is connected with everything. Through this source of all being we can communicate with the starnations, the animals, the stones and the plants. They are our sisters and brothers within the great universal family. Each person expresses the source through his life in different shades and nuances in the world. This glittering color game illuminates our beauty in many lights. Now we go to the next round. About 50 years ago there was a social change in many parts of the world. The women’s movement, as well as the students ‘and citizens’ rights movement, were formed and finally a huge peace movement began. These large numbers of people who have campaigned for equality and peace have come to terms with the law and have become more aware of the values ​​they want to live. Many people have never stopped using equality at different levels. Today we go a step further. In all parts of the world there are great people with great projects. In most places there is now Internet access, which makes it easier for us to network and exchange information. Let us take advantage of the opportunity to work together in a co-operation to feel the vibration of peace in us better. Convinced that peace always begins within ourselves, we show people how to remember their peaceful, generous and humorous nature. 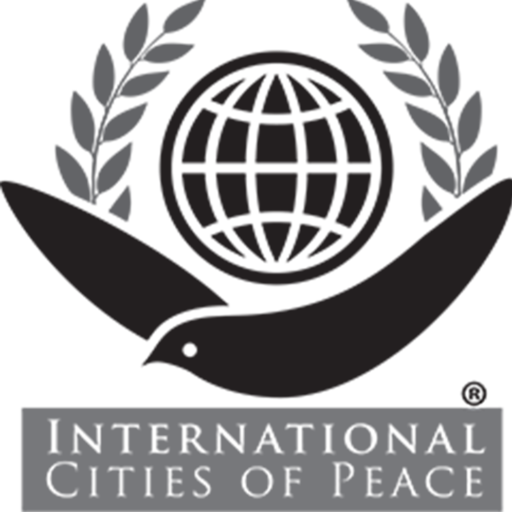 We, together as Clans of Peace, conduct educational activities in the form of seminars and workshops, organize congresses and other gatherings, dance and theater events as well as rituals and ceremonies. Our common activity includes all inter-human areas. Great changes begin in the little in ourselves. Start by exchanging and communicating with others. You can invite your neighbors to your home, or garden and ask them to bring a story, their favorite food, or a movie to share. Invite the children of your neighbors to play with your children. Greetings once a day a strange person. Your beautiful ideas have no limits. The heart knows only the gold fire of love, which also seems to all that exists. Become a multiplier-in of peace and beauty and network in your areas and projects regionally, nationally and globally. Dedicate your work to peace. Working together and living the human principles of humor, compassion and cohesion, we create the world that we want to give to our descendants. 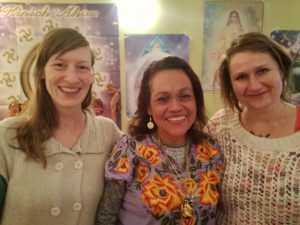 Healer Mira Michell invited Margret from Puls des Friedens/pulse of peace to join her healing &peace ceremony in Berlin in February 2017. Little time before there happened a terrorism act at the memorial church where the ceremony took place. We are a group of people who yearn for peace and beauty in the world. The deep feeling and knowledge that peace and beauty belongs to our human nature has finally led us to the Teaching of Chief Dancing Thunder. Our teacher has brought us together so that we can share the joy of our knowledge. We now carry this basic experience out into the world to connect ourselves with like-minded people like you. If you are committed to speak your truth from your heart and willing to act peacefully, you are welcome to join the Clans des Friedens/clans of peace. The symbol shows that we all come from one source. If we can acknowledge that, worldwide community will be created again. 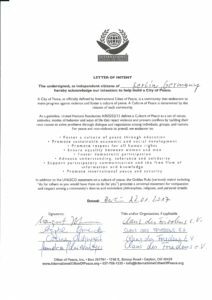 The Association “Clans des Friedens” e.V. Since December 2016, we are a non-profit association in formation. Since January 2017, we are a non-profit association. You are invited to become a member of the clans. Let us create peace through conscious and flawless actions and shape it with our humor. 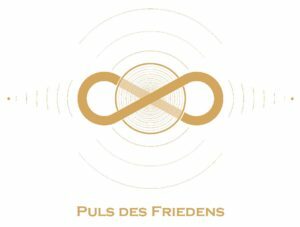 The first big event of the clans is the “pulse of peace” in 2018 in Berlin. In December 2016, together with the Friedensbaumstiftung, we planted a peace tree as a public prelude in Berlin. Let the word peace sound like a mantra. Include the word peace in your own work. 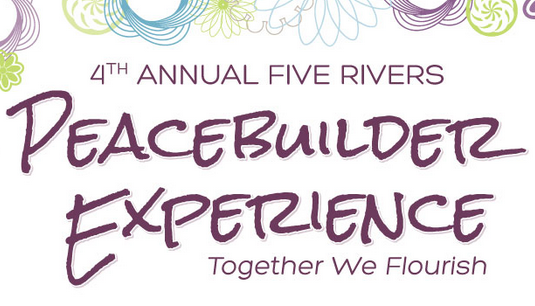 You are invited to use our pulse of peace logo for your peace and community events. If you like to cooperate with our big peace event, please feel free to contact us. Also you can print it out and put your drinking water on top of it. That´s how you programm your body on the frequency of peace, beauty and community. This symbol stands for all that and more. We have it for you in German, English and Spanish. 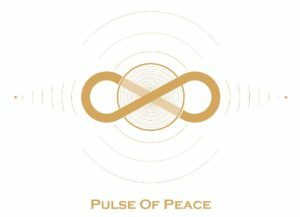 Come and celebrate with us the Pulse of Peace in Berlin, a series of events starting in Spring 2018 that will be the first phase and inspiration for further events. We are inviting people from various cultural arenas, visionaries and pioneers like you, who take responsibility for their life, their knowledge and their visions or who want to learn how to do this. The Pulse of Peace is a new movement, which aims to recreate community. Community was systematically removed from our modern lifestyle and we need to bring it back. Part of this process is taking responsibility for all the areas of your life and through that process you can create a life filled with meaning, humour and community. 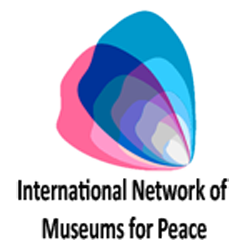 At the centre of our organisation is community, through which the feeling of inner peace and a coming together are possible. Community carries, moves and inspires you limitlessly. Building community is accompanied by inner change, which allows you to become more aware of the meaning of your own life. The commonalities in our community come to light through the recognition of the wisdom of all cultures, when we start to see and hear each other clearly. The Pulse of Peace will offer many opportunities for this, including round tables, workshops and ceremonies, and an art and culture program. The Pulse of Peace does not provide ready made answers, but rather ways and approaches for building community, of us human beings as well as with our Mother Earth. The sharing of our personal resources, such as our individual qualities, talents and material performances, enables us all to contribute to the whole with a sense of belonging, and ultimately to live in beauty. Our international culture program with concerts and exhibitions invites common celebration. From the centre of the organisation many circles spread out into the world, circles of ceremonies, workshops and art. At the round table pulsing peace talks can start, bringing ideas for stimulating cooperation. Invited representatives of different areas and all who feel the impulse, can take a seat at the table and everyone at the table gets the chance to express the truth coming from their heart. Through workshops like bodywork, singing and dancing, you can go on an inner journey. The lived experiences extend your personal possibilities of expression. The ignited inspiration and the discovery of your own path whilst being together offers a chance to change your life far beyond the Pulse of Peace. To be able to feel inner peace we human beings first need to regulate our nervous system. This regulation enables you to acknowledge your emotions and to finally express them adequately. Through experiencing inner peaceful moments and communal expression, impulses develop to unfold these experiences in your life. The ceremonial core will be represented by 5 spiritual elders and grandmothers from each of the 5 continents. It brings the wisdom of different cultures together and concentrates these in joined ceremonies. 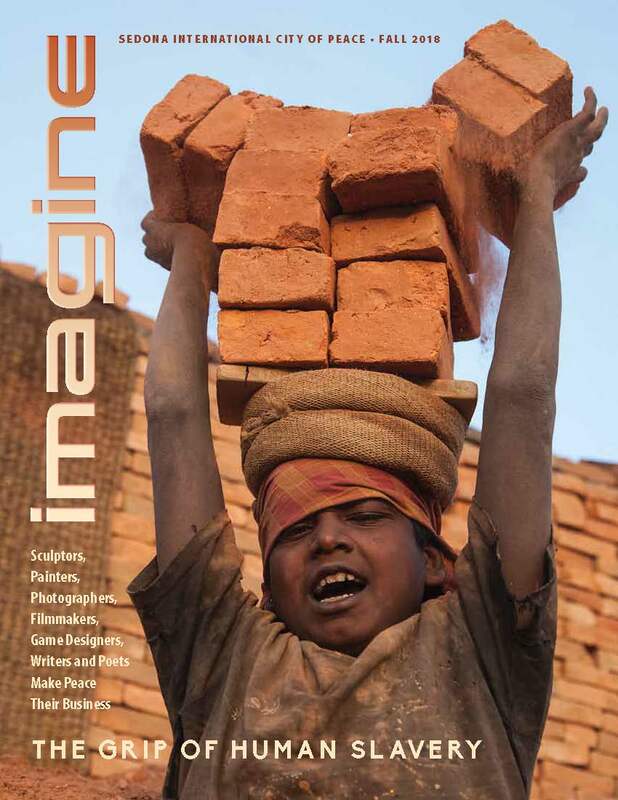 People of all ages, independent of culture and religion, are invited to take part. We give old knowledge a shape through which new spaces of connectedness can come into being. Connectedness releases limiting thought patterns and creates togetherness. 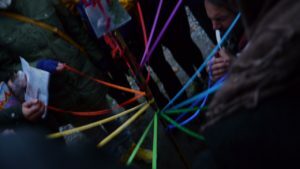 The daily ceremonies will open spaces for you, in which you can move freely with your physical and spiritual family and connect with them. Here healing on all levels can happen. Businesses are invited to participate in the Pulse of Peace, it is through conscious leading of businesses that we can leave behind the way of extremes that is doomed to fail. A balanced lifestyle minimizes extreme poverty, as well as extreme consumption, both of which cause damage to our physical health and psychosomatic complaints. This principal of conscious business leadership can be applied to all business areas. We encourage the trailblazers of this new business culture to apply their knowledge resolutely. Margret Hofmann is a healer and visionary with a blue heart of happyness. 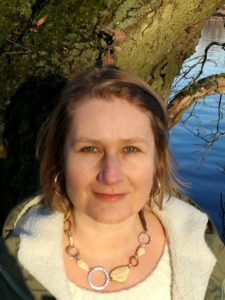 Her clinic for acupuncture and shamanic traumahealing is located in Berlin where she lives since 1986. For Margret peace is a symphony composed with the sounds of community, freedom, humor, balance, sustainability, happyness, love, mindfulness and more. A short message in November 2015 changed my life. I, Margret, received an email from the Mongolian shaman Bulgan. In one of her visions she saw me organize a large women’s festival in Berlin. Since that moment, I am growing at the same time with the vision. Memories of our natural state of being, help me understand the infinite extent of the vision. With the help of an expanded vision through the wisdom and beauty of our original knowledge, I can realize the vision in Berlin. They are the women who lead global change to a peaceful and equitable lifestyle. There are also the men who change their social positions for the sake of all, now. 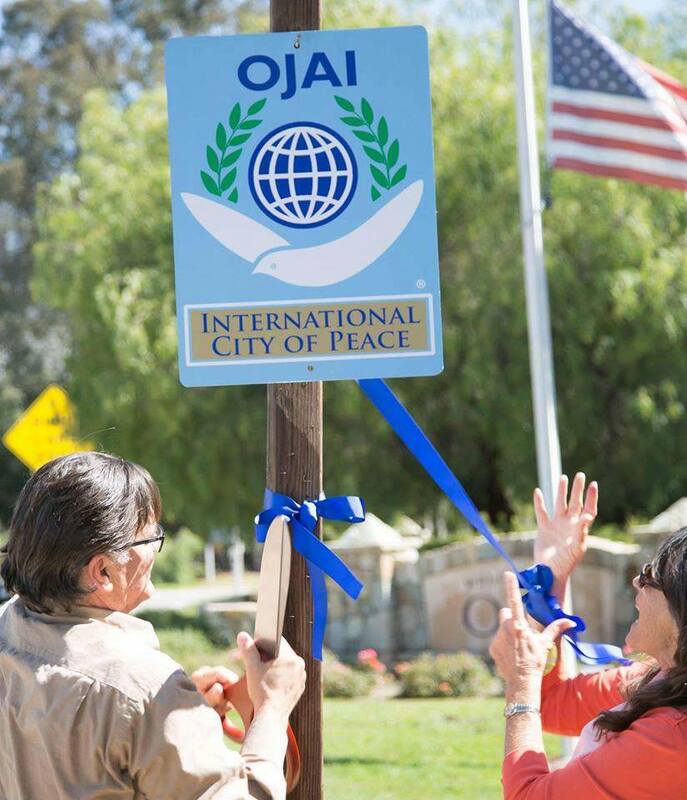 In an integrated community, we share the same awareness to bring the peace vision into the world. From the seed of Bulgans Vision, the nucleus pulse of peace arose to celebrate peace. The pulse of peace draws its circles from our hearts into our families, cities, countries, and into the world. In order to unite people and bring together their abilities to embody peace, I have created the clans of peace. More and more people are coming into resonance with the creation and celebration and bring their talents with them. Be a creative part of the international clans of peace who live the energy of peace. Berlin is the capital and the largest city of Germany as well as one of its constituent 16 states. With a population of approximately 3.5 million, Berlin is the second most populous city proper and the seventh most populous urban area in the European Union. 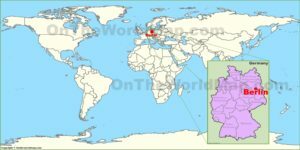 Located in northeastern Germany on the banks of the rivers Spree and Havel, it is the centre of the Berlin-Brandenburg Metropolitan Region, which has roughly 6 million residents from more than 180 nations. Due to its location in the European Plain, Berlin is influenced by a temperate seasonal climate. Around one-third of the city’s area is composed of forests, parks, gardens, rivers and lakes. First documented in the 13th century and situated at the crossing of two important historic trade routes, Berlin became the capital of the Margraviate of Brandenburg (1417–1701), the Kingdom of Prussia (1701–1918), the German Empire (1871–1918), the Weimar Republic (1919–1933) and the Third Reich (1933–1945). Berlin in the 1920s was the third largest municipality in the world. After World War II and its subsequent occupation by the victorious countries, the city was divided; East Berlin was declared capital of East Germany, while West Berlin became a de facto West German exclave, surrounded by the Berlin Wall (1961–1989) and East German territory. Following German reunification in 1990, Berlin once again became the capital of all-Germany.